Jay-Z-owned streaming music platform Tidal has enabled a new feature that allows users to block artists and songs. 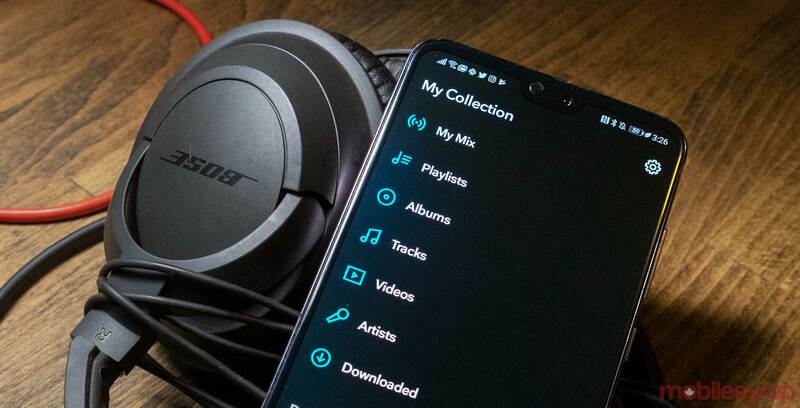 The feature primarily affects the ‘My Mix’ playlist section and other algorithmically generated playlists like ‘Artist’ and ‘Track Radios’ by removing the song or artist you don’t want to hear from. Truly blocking an artist isn’t as easy as you’d think it would be. When one of these playlists plays a song you disagree with, you’ll be able to select the new “block” button. At that point, you’ll be able to choose to hide the song or the artist’s discography. Users can also go into the app’s settings to view their blocked content. Tidal is the first mainstream music streaming service to bring this feature to market after the controversy surrounding R. Kelly and Spotify. Spotify has announced a similar feature but it’s still in beta, as noted by Android Authority. Additionally, Spotify wasn’t able to obstruct songs that feature blocked artists, and Tidal has made no mention of the feature. MobileSyrup has reached out to Tidal for clarifications.